A narrow style window espag. 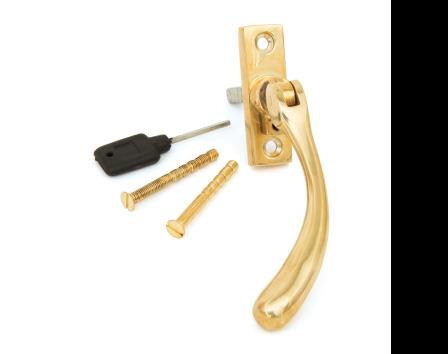 handle which fits on any type of window, including upvc, timber and aluminium. They can be fitted on any modern espagnolette system or stand-alone centre lock. They have a 7mm fixed spindle (spindle comes with 38mm length showing) and can be locked by way of a grub screw hidden under the handle. Suitable for internal or use in damp conditions and sold as a set. Polished Brass finish - for more information see the finishes guide here.